01/02/2019 Calling all pirates! Would you like to be a Cat? The Limelight Theatre Company are calling all would be Pirates for their forthcoming production of Cats. For those that are not familiar with the award-winning Andrew Lloyd Webber musical Cats, Gus the Theatre Cat, has a dream sequence, in which one of his most favourite characters is brought to life: Growltiger. So there is the pirate link! Could you be part of this dream sequence? 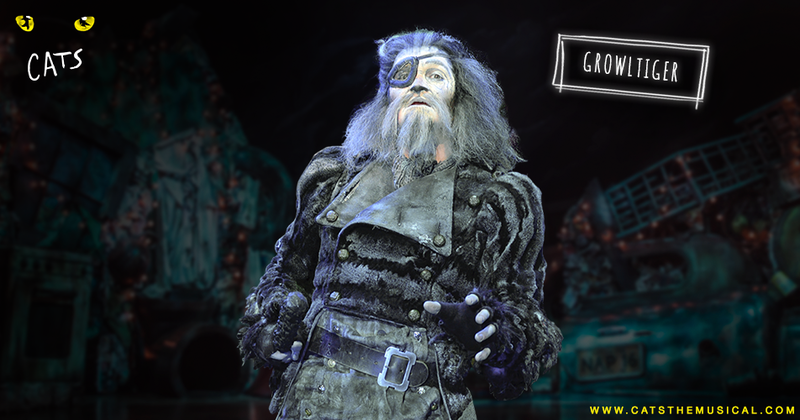 He has played every possible part, one of his favourite being the infamous Growltiger and in the production, during a dream sequence, the Jellicle cats gather around to hear the story of Growltiger’s last stand. “Growltiger was known as the roughest cat to roam at large. He travelled up and down the Thames on a barge with his Raffish Crew. From Gravesend to Oxford, he made those along the river quiver in their boots. All, that is, except his lady love, Griddlebone. Growltiger had “no eye or ear for aught but Griddlebone” and Griddlebone, for her part, seemed “enraptured by his manly baritone”. Growltiger’s fate looked sealed when, with a burst of fireworks, the Siamese cats swarmed aboard, capturing the surrendered Growltiger and forcing him to walk the plank. So do you think you could play one of these cats? The dream sequence calls upon your acting skills as a fighter, pirate, a real character cat…..
Show dates: Dress rehearsal Tuesday 28th May – Opening night Wednesday 29th May with an evening performance each night through to and including Saturday 1st June, plus a matinee performance on Saturday 1st June. All those participating will need to become members of the Limelight Theatre Company at a small cost.